Renshuu Diary: February 2, 2015 | Ready, Set, Kimono! Hello everyone! 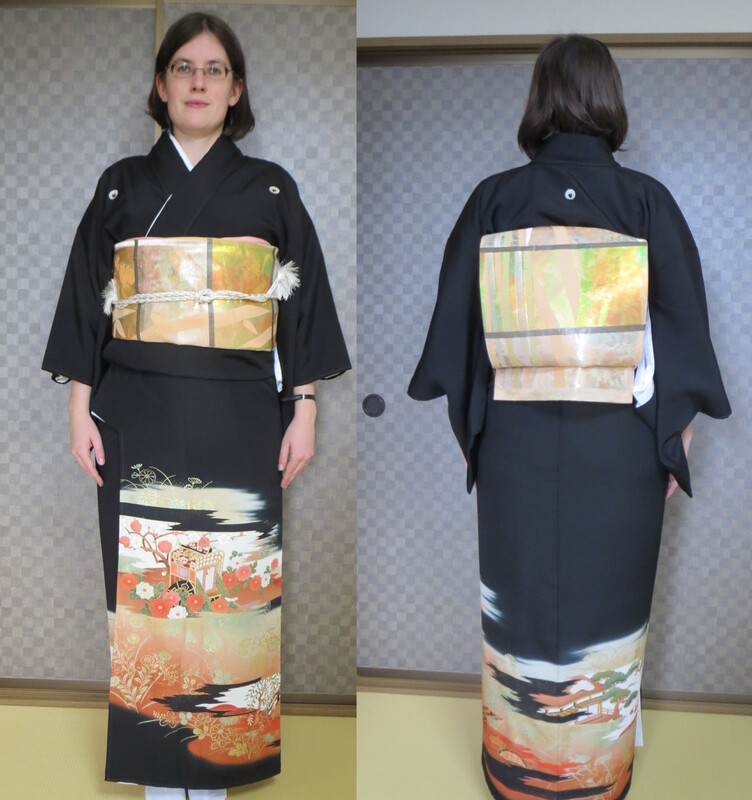 As I mentioned in my last post, I’m currently practicing (renshuu) for my kimono and kitsuke license. I’ve been sick all week so today was the first time I could really practice for a long time. My goal is to dress in a kurotomesode and obi in five minutes. I’m not there yet, but here is what I accomplished today. None of these are perfect, and one is downright embarrassing, but I’m slowly learning. For each attempt, I dressed without a mirror. The first time I saw what the result was when my wonderful husband took the photos. 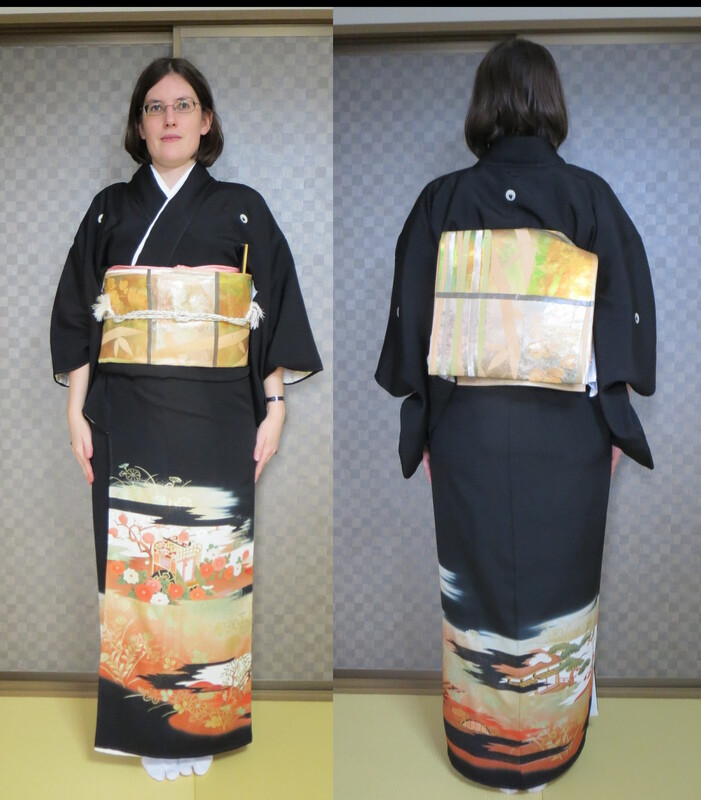 The only thing I really like about this attempt is the hemline, and the fact that the hiyoku (the white, false layer) is wide enough to show. 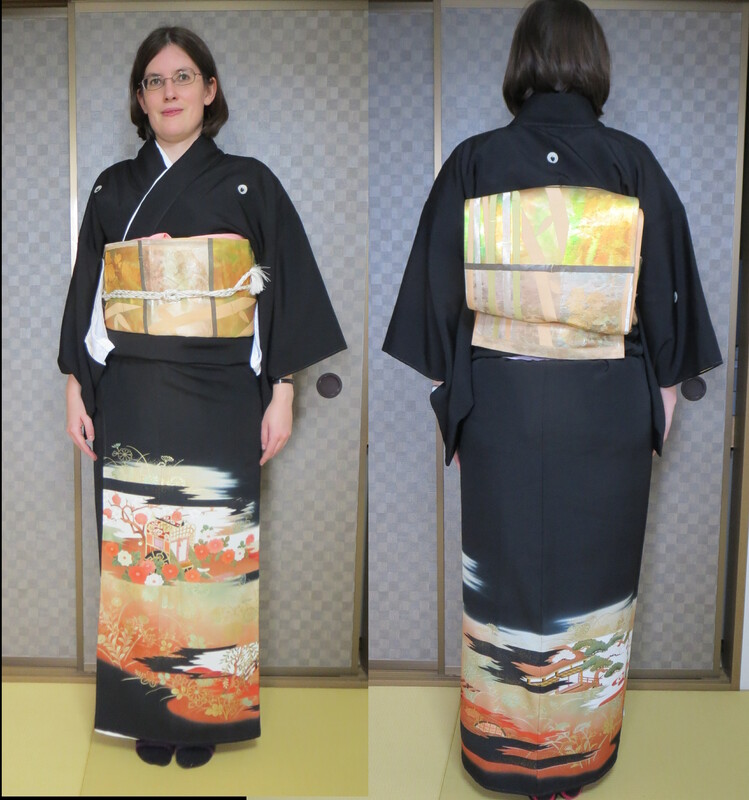 My obi is crooked everywhere, my obiage is messy, and you can even see my waistbelt under the ohashori at the back. 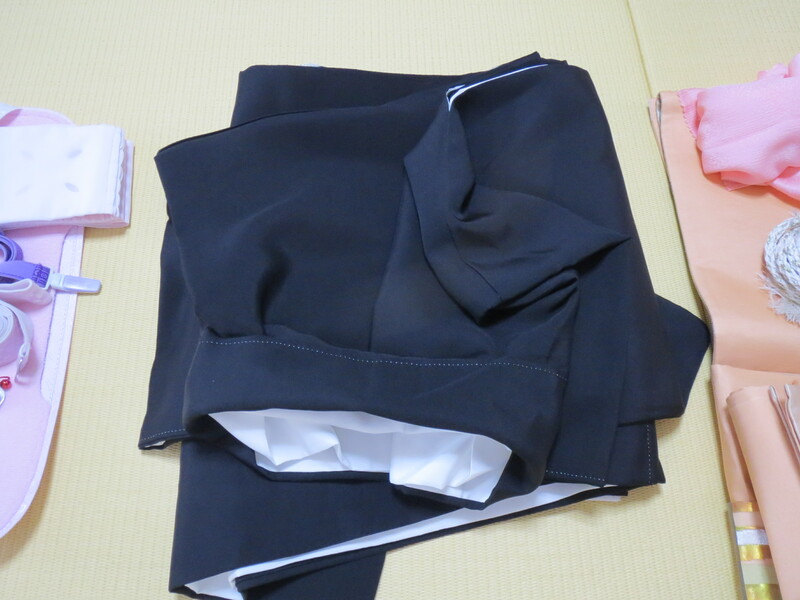 My ohashori is neater in this attempt, but my obi is still lopsided, and now the hiyoku is hidden as well. Well, my obi is looking nicer in the front, but I’d still like it to be flatter at the top of the otaiko. The hiyoku is still hiding on me, but at least this time I remembered the ougi (small fan)! I’m really happy with the way my collars and obi in the front turned out in this attempt, but what the heck happened to my 0tesaki?? 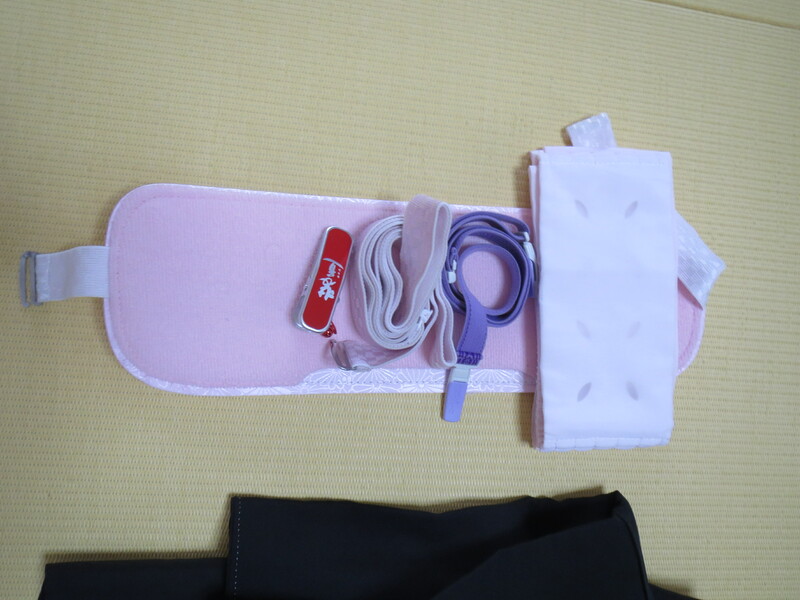 I swore I had one when I tied the otaiko! I blame it on the slipping padding I had. After this attempt, I had to undress entirely, adjust the padding, then get redressed again. This one is just downright embarrassing. I was tired at this point, I was feeling sick again, my concentration was shot, and it shows. Everything is just messy and ugly. Collars, obi, ohashori, everything. But at least my obiage looks decent. 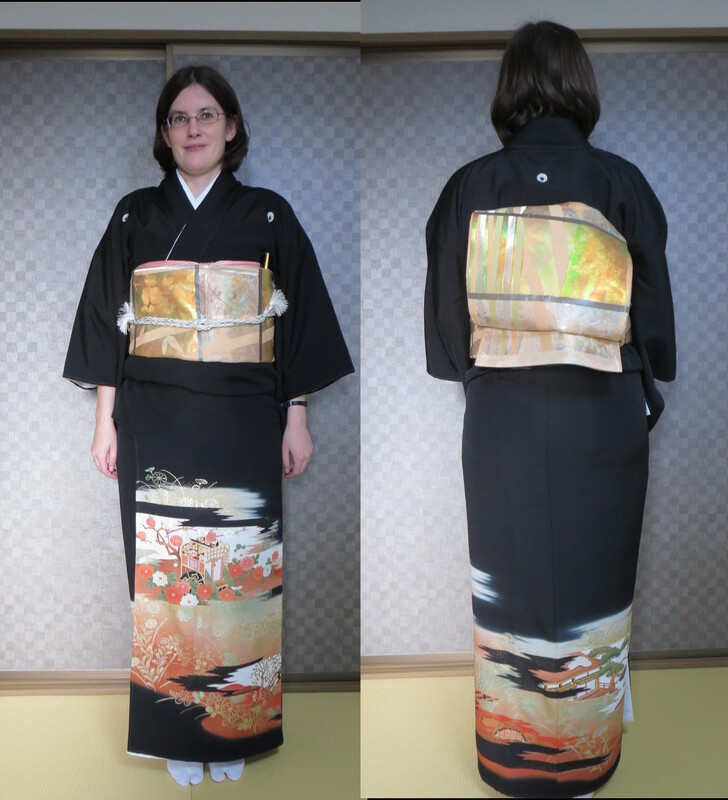 For each attempt, I started by wearing my juban with everything spread out in front of me within easy reach. 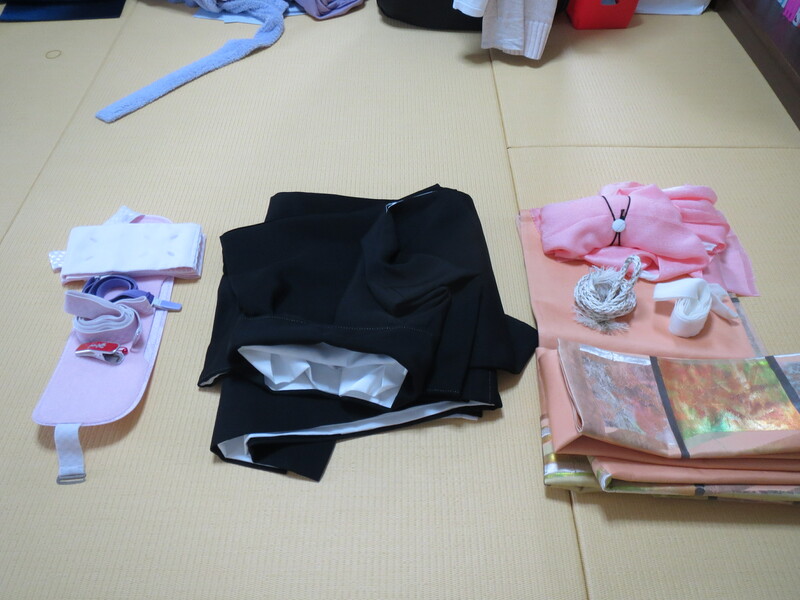 My datejime, waistbelt, korin belt, clip, and obi ita are placed on the left so I can grab them easily. 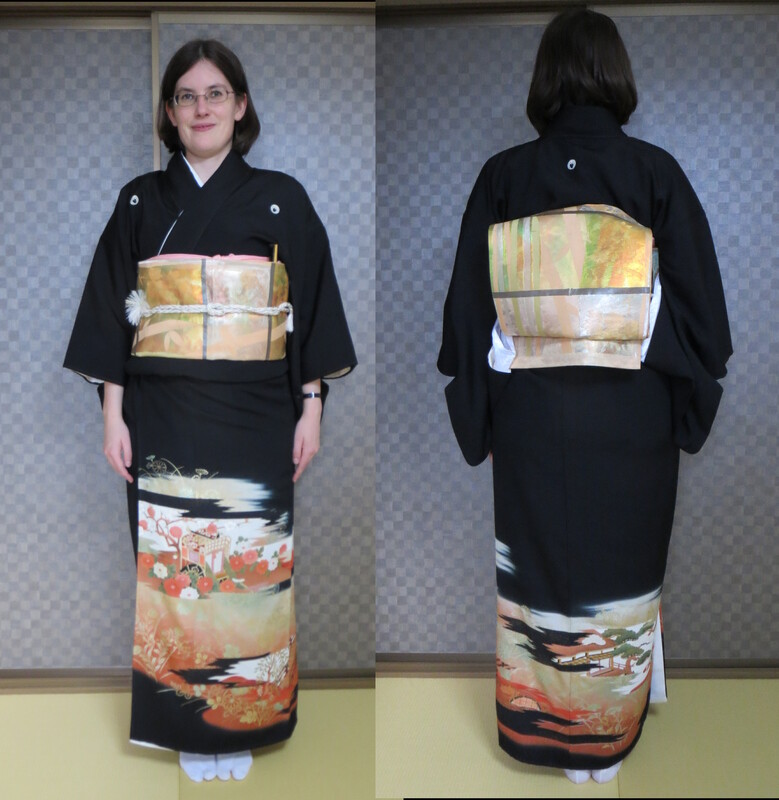 My kimono is folded in the kosodedatami folding style to make it easy to put on. 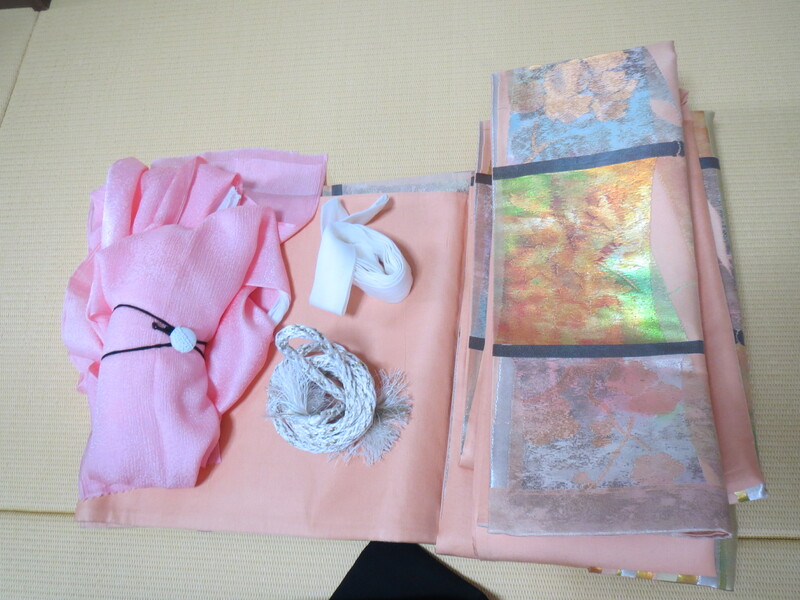 My obi is folded and ready to go with all the accessories I need sitting on top. I hope you found this post informative. Hopefully I can break the eight minute mark by the end of the week!